Present location: in the churchyard of Creich old parish church. Evidence for discovery: in situ. The slab is deeply incised with a plain linear cross with rectangular terminals, the lower arm of which is demarcated on the shaft. The shaft stands on a small expanded base, and the armpits are open and circular. Date: eighth to ninth century. References: ECMS pt 3, 54-5. OS 6" map, Sutherland, 1st ed., (1874). The parish church of Creich, built in 1790, still in use in 1909, but partially demolished by 1963, stands on or near the site of its predecessor, dedicated to St Devenic, mentioned in the early 13th century and possibly rebuilt in 1619. The 'tomb' shown at NH 6364 8921 on the OS 1st ed., 6" map bears a modern inscription: 'This ancient chapel was the burying-ground of Gray of Creich, 1625-1787'. This might suggest that it is the remains of the medieval church abandoned in 1619, but its shape and orientation make this doubtful. It is a square, stone-walled enclosure, roofless, with walls 0.6m thick and 2.5m high, and a doorway in its S side. 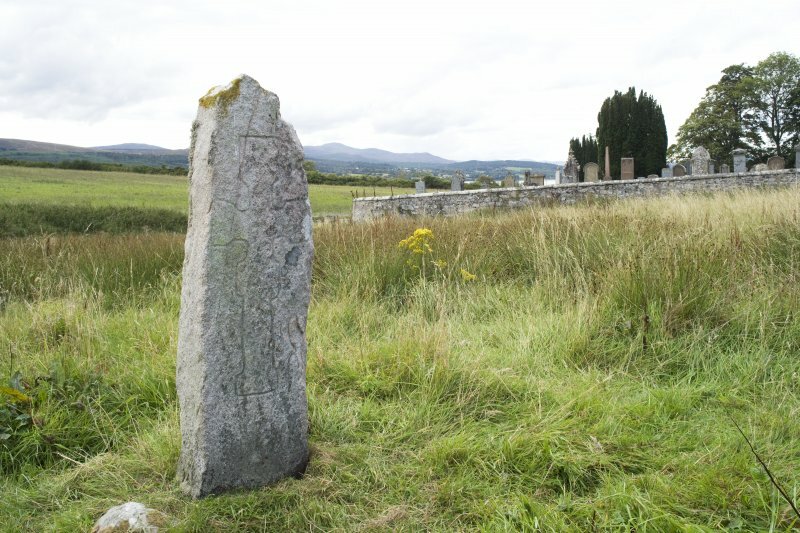 A recumbent slab, 6ft long, bearing an incised Latin cross on a graduated base, lies at NH 6363 8919 (OS [WDJ]) in the churchyard, obviously having been moved since 1909 when it is described as lying about 50ft SSE of the SE corner of the church (RCAHMS 1911). An indecipherable inscription runs round the upper edge. 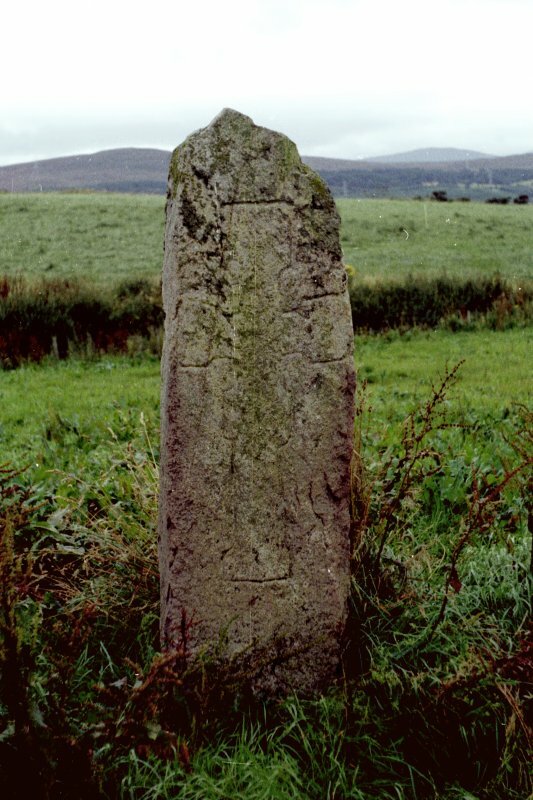 The 'Standing Stone' at NH 6366 8919 is an upright cross-slab bearing an incised Celtic cross with rounded armpits. 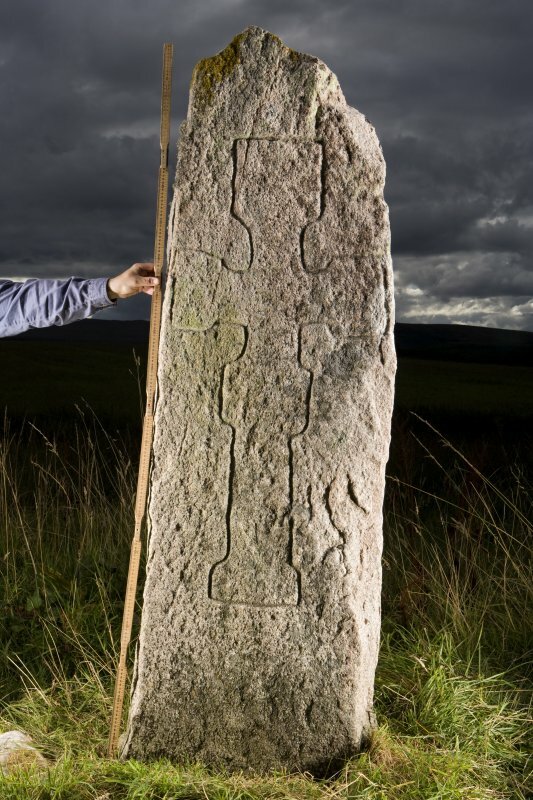 A rough, unhewn block, 6ft 10ins high and 2ft wide, it is known as 'St Demhan's Cross' (OSA 1793), obviously from St Devenic, whose fair was still held at Creich in 1630. Statistical Account (OSA) 1793; Orig Paroch Scot 1855; Name Book 1874; RCAHMS 1911, visited 1909. The ruined church, the mausoleum, the cross-incised stone and St Demhan's Cross are as described by the previous authorities. Visited by OS (J B), 12 September 1980. This is a tall stone over 2m high, which seems to have been used with little or no shaping. The outline of a large cross with expanded arms and base is incised on one side, rather irregularly in places. The coarse-grained stone was probably too hard to carve in relief. 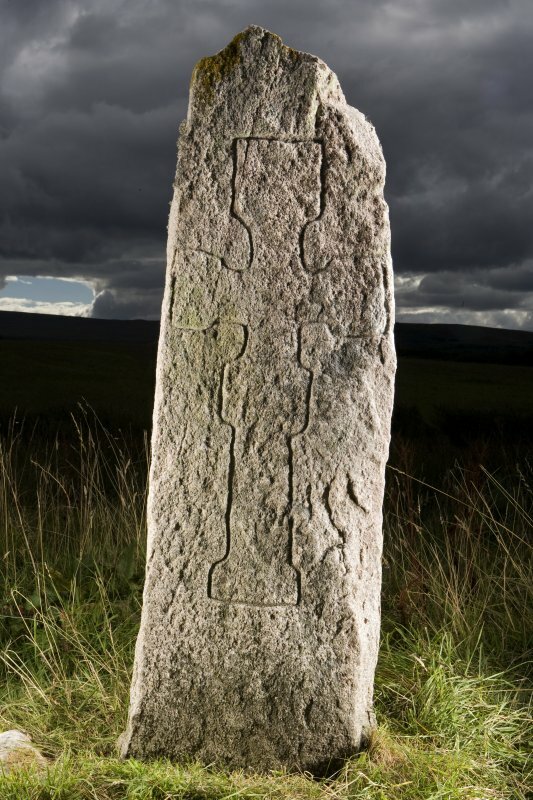 The stone is known as St Demhan's Cross, after St Devenic to whom the medieval parish church was dedicated. The medieval church stood in the graveyard on the site now occupied by the ruins of a later parish church built in 1774. The presence of the crossincised stone suggests an ecclesiastical use of the site before the medieval church was built, and it could be that the stone was a preaching cross rather than a gravestone.